This classic childhood game is one that anybody can enjoy. 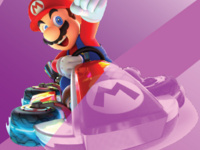 Stop by the Kat Klub and participate in our Mario Kart tournament on the Nintendo Wii. Sign up on IMLeagues.com or on-site at the LSC Kat Klub.